NEW SCOTLAND — The John Boyd Thacher State Park is ready to welcome even more visitors this year as some of its programs, amenities and facilities are planned to open soon to cater to the expected large crowds. Park Manager Nola DalGallo said that the state park’s 8,240 square-foot Visitor Center, which first opened on May 4, 2017, has greatly helped attract visitors in recent years. The Visitor Center contains geological and historical exhibits about the Helderberg Escarpment, and also provides engaging family-friendly activities. According to the state park’s website, it also has a conference room for groups under 25 and the Helderberg Room which boasts scenic views and an ideal space for social gatherings like weddings, birthday parties, receptions and anniversaries. While she was not able to disclose how many visitors came to the state park in 2016 and 2017 for comparison, DalGallo said that around 542,000 people visited in 2018 and is hoping for more this year. When asked what people can expect in the coming weeks, DalGallo said that the state park’s Wild Play Adventure Course, which first opened in 2017, will commence operations this year from May 3 through October 27. 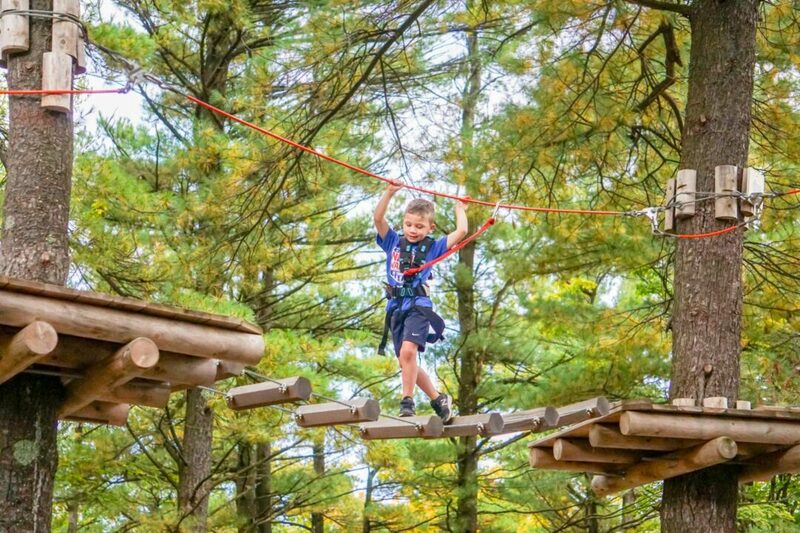 This showcases 15 zip lines, 60 aerial games, rope swings, wobbly bridges, log ladders, cargo nets and more — to bridge the connection between engaging youth and enjoying nature. For hours and admissions, visit wildplay.com/thacher. She also brought up that the Thompson’s Lake Campground will open on the first weekend of May which consists of 140 wooded campsites, a beach, forests and open fields. Families can take advantage of this summer-ready location to go on nature trails, fishing, children-appropriate playgrounds and more. She added that the Emma Treadwell Thacher Nature Center, an all-year operational facility, is planned to welcome many school field trips and host informational programs. She also said that the state park welcomes numerous out-of-state colleges too. When asked what is the state park’s most popular attraction, DalGallo did not hesitate. She added that while the trail is presumed to open this May or early June, it is closed annually for inspections and based on weather conditions. “It has been known to also get too icy in the winter as it does not get enough sun as the other trails do,” she said. For more information, visit https://parks.ny.gov/parks/128/details.aspx.